CERTIFIED, LEATHER, NAVIGATION, CLEAN CARFAX, CARFAX ONE OWNER, SUNROOF / MOONROOF, Up to 7-Year/100,000 Mile Powertrain Limited Warranty, Bluetooth/Hands Free Phone, CERTIFIED: 125-Point Inspection, 1-YR SiriusXM Guardian Trial, 300S Premium Group, 5-Year SiriusXM Traffic Service, 5-Year SiriusXM Travel Link Service, 8.4 Touchscreen Display, Apple CarPlay, Auto-Dimming Exterior Driver Mirror, Blind Spot & Cross Path Detection, Body Color Fascia Applique, Body Color Fascias, Dual-Pane Panoramic Sunroof, Exterior Mirrors Courtesy Lamps, Exterior Mirrors w/Supplemental Signals, For Details Visit DriveUconnect.com, Google Android Auto, GPS Antenna Input, GPS Navigation, HD Radio, Integrated Center Stack Radio, Integrated Voice Command w/Bluetooth, Lower Grille Close-Out Panels, Media Hub (2 USB, AUX), ParkSense Front/Rear Park Assist System, Power Multi Function Mirror Manual Fold, Premium SRT Fog Lamps, Quick Order Package 22G, Radio: Uconnect 4C Nav w/8.4 Display, Rear Bodycolor Spoiler, S Model Appearance Package, SiriusXM Satellite Radio, SiriusXM Traffic Plus, SiriusXM Travel Link, USB Host Flip, Wheels: 19 x 7.5 Aluminum HyperBlack.Stew Hansen Dodge Ram Chrysler Jeep RAM is pumped up to offer this stunning 2017 Chrysler 300. S AWD18/27 City/Highway MPGCertified.FCA US Certified Pre-Owned Details: * Limited Warranty: 3 Month/3,000 Mile (whichever comes first) after new car warranty expires or from certified purchase date * 125 Point Inspection * Includes First Day Rental, Car Rental Allowance, and Trip Interruption Benefits * Powertrain Limited Warranty: 84 Month/100,000 Mile (whichever comes first) from original in-service date * Vehicle History * Roadside Assistance * Warranty Deductible: $100 * Transferable WarrantyCall now to get special offers and VIP treatment from our internet division. Please contact us today at 1-888-993-8282. Last chance End Of Month Blowout!! CERTIFIED, LEATHER, NAVIGATION, CLEAN CARFAX, CARFAX ONE OWNER, SUNROOF / MOONROOF, Up to 7-Year/100,000 Mile Powertrain Limited Warranty, Bluetooth/Hands Free Phone, AWD, 6 Speakers, Adaptive Cruise Control w/Stop, Advanced Brake Assist, Air Conditioning, Auto High Beam Headlamp Control, Blind Spot & Cross Path Detection, Dual-Pane Panoramic Sunroof, Exterior Mirrors Courtesy Lamps, Exterior Mirrors w/Supplemental Signals, Full Speed FWD Collision Warn Plus, Heated front seats, Heated rear seats, Lane Departure Warning Plus, Memory seat, ParkSense Front/Rear Park Assist System, Power Multi Function Mirror Manual Fold, Quick Order Package 22T Limited, Radio data system, Radio: Uconnect 4C Nav w/8.4 Display, Radio: Uconnect 4C w/8.4 Display, Rain Sensitive Windshield Wipers, SafetyTec Plus Group.Stew Hansen Dodge Ram Chrysler Jeep RAM is very proud to offer this beautiful 2018 Chrysler 300. Limited AWDOdometer is 2734 miles below market average!18/27 City/Highway MPGCertified.FCA US Certified Pre-Owned Details: * Limited Warranty: 3 Month/3,000 Mile (whichever comes first) after new car warranty expires or from certified purchase date * Roadside Assistance * Includes First Day Rental, Car Rental Allowance, and Trip Interruption Benefits * Transferable Warranty * Vehicle History * 125 Point Inspection * Warranty Deductible: $100 * Powertrain Limited Warranty: 84 Month/100,000 Mile (whichever comes first) from original in-service dateCall now to get special offers and VIP treatment from our internet division. Please contact us today at 1-888-993-8282. CERTIFIED, LOW MILES, Remote Start, LEATHER, NAVIGATION, CLEAN CARFAX, 3RD ROW SEATS, Up to 7-Year/100,000 Mile Powertrain Limited Warranty, CERTIFIED: 125-Point Inspection, 19 x 7.5 Polished Aluminum Wheels, 6 Speakers, ABS brakes, Adaptive Cruise Control w/Stop, Advanced Brake Assist, AM/FM radio: SiriusXM, Audio memory, Auto High Beam Headlamp Control, Automatic temperature control, Blind Spot & Cross Path Detection, Brake assist, Delay-off headlights, Dual-Pane Panoramic Sunroof, Electronic Stability Control, Exterior Mirrors Courtesy Lamps, Exterior Mirrors w/Supplemental Signals, Four wheel independent suspension, Front Bucket Seats, Front dual zone A/C, Front fog lights, Full Speed FWD Collision Warn Plus, Fully automatic headlights, Heated front seats, Heated rear seats, Lane Departure Warning Plus, Memory seat, Panic alarm, ParkSense Front/Rear Park Assist System, Power driver seat, Power Multi Function Mirror Manual Fold, Power passenger seat, Power steering, Power windows, Quick Order Package 22T Limited, Radio data system, Radio: Uconnect 4C Nav w/8.4 Display, Rain Sensitive Windshield Wipers, Remote keyless entry, SafetyTec Plus Group, Security system, Speed-sensing steering, Split folding rear seat, Steering wheel memory, Steering wheel mounted audio controls, Traction control, Ventilated front seats.Stew Hansen Dodge Ram Chrysler Jeep RAM is proud to offer this outstanding-looking 2018 Chrysler 300. Limited AWDOdometer is 689 miles below market average!18/27 City/Highway MPGCertified.FCA US Certified Pre-Owned Details: * Roadside Assistance * Transferable Warranty * 125 Point Inspection * Powertrain Limited Warranty: 84 Month/100,000 Mile (whichever comes first) from original in-service date * Limited Warranty: 3 Month/3,000 Mile (whichever comes first) after new car warranty expires or from certified purchase date * Warranty Deductible: $100 * Vehicle History * Includes First Day Rental, Car Rental Allowance, and Trip Interruption BenefitsCall now to get special offers and VIP treatment from our internet division. Please contact us today at 1-888-993-8282. CERTIFIED, LOW MILES, Remote Start, LEATHER, ONE OWNER, SUNROOF / MOONROOF, Up to 7-Year/100,000 Mile Powertrain Limited Warranty, CERTIFIED: 125-Point Inspection, 10 Speakers, 4-Wheel Disc Brakes, ABS brakes, AM/FM radio: SiriusXM, Automatic temperature control, Body Color Fascia Applique, Body Color Fascias, Brake assist, Dual-Pane Panoramic Sunroof, Electronic Stability Control, Four wheel independent suspension, Front dual zone A/C, Front fog lights, HD Radio, Heated front seats, Integrated Center Stack Radio, Leather Trimmed Sport Bucket Seats, Lower Grille Close-Out Panels, Media Hub (2 USB, AUX), Panic alarm, Power driver seat, Power passenger seat, Power steering, Power windows, Premium SRT Fog Lamps, Quick Order Package 22G, Radio data system, Radio: Uconnect 4C w/8.4 Display, Rear Bodycolor Spoiler, Rear Seat Armrest w/Storage Cupholder, Remote keyless entry, S Model Appearance Package, Security system, SiriusXM Satellite Radio, Speed control, Speed-sensing steering, Split folding rear seat, Steering wheel mounted audio controls, Traction control, Wheels: 19 x 7.5 Aluminum HyperBlack.Stew Hansen Dodge Ram Chrysler Jeep RAM is excited to offer this beautiful 2017 Chrysler 300. S AWDOdometer is 6213 miles below market average!18/27 City/Highway MPGCertified.FCA US Certified Pre-Owned Details: * Includes First Day Rental, Car Rental Allowance, and Trip Interruption Benefits * Vehicle History * Roadside Assistance * Warranty Deductible: $100 * 125 Point Inspection * Powertrain Limited Warranty: 84 Month/100,000 Mile (whichever comes first) from original in-service date * Transferable Warranty * Limited Warranty: 3 Month/3,000 Mile (whichever comes first) after new car warranty expires or from certified purchase dateCall now to get special offers and VIP treatment from our internet division. Please contact us today at 1-888-993-8282. CERTIFIED, LOW MILES, Remote Start, LEATHER, NAVIGATION, ONE OWNER, CLEAN CARFAX, SUNROOF / MOONROOF, Up to 7-Year/100,000 Mile Powertrain Limited Warranty, CERTIFIED: 125-Point Inspection, 19 x 7.5 Polished Aluminum Wheels, 6 Speakers, ABS brakes, Adaptive Cruise Control w/Stop, Advanced Brake Assist, AM/FM radio: SiriusXM, Audio memory, Auto High Beam Headlamp Control, Automatic temperature control, Blind Spot & Cross Path Detection, Brake assist, Delay-off headlights, Dual-Pane Panoramic Sunroof, Electronic Stability Control, Exterior Mirrors Courtesy Lamps, Exterior Mirrors w/Supplemental Signals, Four wheel independent suspension, Front Bucket Seats, Front Center Armrest, Front dual zone A/C, Front fog lights, Full Speed FWD Collision Warn Plus, Fully automatic headlights, Heated front seats, Heated rear seats, Lane Departure Warning Plus, Memory seat, Panic alarm, ParkSense Front/Rear Park Assist System, Power driver seat, Power Multi Function Mirror Manual Fold, Power passenger seat, Power steering, Power windows, Quick Order Package 22T Limited, Radio data system, Radio: Uconnect 4C Nav w/8.4 Display, Rain Sensitive Windshield Wipers, Remote keyless entry, SafetyTec Plus Group, Security system, Speed-sensing steering, Split folding rear seat, Steering wheel memory, Steering wheel mounted audio controls, Traction control, Ventilated front seats.Stew Hansen Dodge Ram Chrysler Jeep RAM is honored to offer this superb-looking 2018 Chrysler 300. Limited AWDOdometer is 3028 miles below market average!18/27 City/Highway MPGCertified.FCA US Certified Pre-Owned Details: * Vehicle History * Transferable Warranty * Warranty Deductible: $100 * Limited Warranty: 3 Month/3,000 Mile (whichever comes first) after new car warranty expires or from certified purchase date * Includes First Day Rental, Car Rental Allowance, and Trip Interruption Benefits * 125 Point Inspection * Roadside Assistance * Powertrain Limited Warranty: 84 Month/100,000 Mile (whichever comes first) from original in-service dateCall now to get special offers and VIP treatment from our internet division. Please contact us today at 1-888-993-8282. CERTIFIED, LOW MILES, Remote Start, LEATHER, NAVIGATION, CLEAN CARFAX, SUNROOF / MOONROOF, Up to 7-Year/100,000 Mile Powertrain Limited Warranty, 19 x 7.5 Polished Aluminum Wheels, 4-Wheel Disc Brakes, 6 Speakers, ABS brakes, Adaptive Cruise Control w/Stop, Advanced Brake Assist, AM/FM radio: SiriusXM, Audio memory, Auto High Beam Headlamp Control, Automatic temperature control, Blind Spot & Cross Path Detection, Brake assist, Dual-Pane Panoramic Sunroof, Electronic Stability Control, Exterior Mirrors Courtesy Lamps, Exterior Mirrors w/Supplemental Signals, Four wheel independent suspension, Front Bucket Seats, Front dual zone A/C, Full Speed FWD Collision Warn Plus, Heated front seats, Heated rear seats, Lane Departure Warning Plus, Memory seat, Navigation System, Panic alarm, ParkSense Front/Rear Park Assist System, Power driver seat, Power Multi Function Mirror Manual Fold, Power passenger seat, Power steering, Power windows, Quick Order Package 22T Limited, Radio data system, Radio: Uconnect 4C Nav w/8.4 Display, Rain Sensitive Windshield Wipers, Remote keyless entry, SafetyTec Plus Group, Security system, Speed-sensing steering, Split folding rear seat, Steering wheel memory, Steering wheel mounted audio controls, Traction control, Ventilated front seats.Stew Hansen Dodge Ram Chrysler Jeep RAM is proud to offer this wonderful 2018 Chrysler 300. Limited AWD18/27 City/Highway MPGCertified.FCA US Certified Pre-Owned Details: * Powertrain Limited Warranty: 84 Month/100,000 Mile (whichever comes first) from original in-service date * Vehicle History * Transferable Warranty * Roadside Assistance * 125 Point Inspection * Limited Warranty: 3 Month/3,000 Mile (whichever comes first) after new car warranty expires or from certified purchase date * Includes First Day Rental, Car Rental Allowance, and Trip Interruption Benefits * Warranty Deductible: $100Call now to get special offers and VIP treatment from our internet division. Please contact us today at 1-888-993-8282. CERTIFIED, LOW MILES, Remote Start, LEATHER, NAVIGATION, ONE OWNER, CLEAN CARFAX, SUNROOF / MOONROOF, Up to 7-Year/100,000 Mile Powertrain Limited Warranty, 10 Speakers, 300S Premium Group, 4-Wheel Disc Brakes, 8.4 Touchscreen Display, ABS brakes, Apple CarPlay, Auto-Dimming Exterior Driver Mirror, Automatic temperature control, Blind Spot & Cross Path Detection, Brake assist, Dual-Pane Panoramic Sunroof, Electronic Stability Control, Exterior Mirrors Courtesy Lamps, Exterior Mirrors w/Supplemental Signals, For Details Visit DriveUconnect.com, Four wheel independent suspension, Front dual zone A/C, Google Android Auto, GPS Antenna Input, GPS Navigation, HD Radio, Heated front seats, Integrated Center Stack Radio, Integrated Voice Command w/Bluetooth, Leather Trimmed Sport Bucket Seats, Media Hub (2 USB, AUX), Panic alarm, ParkSense Front/Rear Park Assist System, Power driver seat, Power Multi Function Mirror Manual Fold, Power passenger seat, Power steering, Power windows, Quick Order Package 22G, Radio: Uconnect 4C Nav w/8.4 Display, Rear Seat Armrest w/Storage Cupholder, Remote keyless entry, Security system, SiriusXM Satellite Radio, SiriusXM Traffic Plus, SiriusXM Travel Link, Speed control, Speed-sensing steering, Split folding rear seat, Steering wheel mounted audio controls, Traction control, USB Host Flip, Wheels: 19 x 7.5 Aluminum HyperBlack.Stew Hansen Dodge Ram Chrysler Jeep RAM is excited to offer this great-looking 2017 Chrysler 300. S AWDOdometer is 4825 miles below market average!18/27 City/Highway MPGCertified.FCA US Certified Pre-Owned Details: * 125 Point Inspection * Transferable Warranty * Vehicle History * Roadside Assistance * Warranty Deductible: $100 * Powertrain Limited Warranty: 84 Month/100,000 Mile (whichever comes first) from original in-service date * Includes First Day Rental, Car Rental Allowance, and Trip Interruption Benefits * Limited Warranty: 3 Month/3,000 Mile (whichever comes first) after new car warranty expires or from certified purchase dateCall now to get special offers and VIP treatment from our internet division. Please contact us today at 1-888-993-8282. CERTIFIED, LOW MILES, Remote Start, LEATHER, NAVIGATION, CLEAN CARFAX, SUNROOF / MOONROOF, Up to 7-Year/100,000 Mile Powertrain Limited Warranty, 1-YR SiriusXM Guardian Trial, 300S Premium Group, 4-Wheel Disc Brakes, 8.4 Touchscreen Display, ABS brakes, Adaptive Cruise Control w/Stop, Advanced Brake Assist, Apple CarPlay, Auto High Beam Headlamp Control, Auto-Dimming Exterior Driver Mirror, Automatic temperature control, Blind Spot & Cross Path Detection, Dual-Pane Panoramic Sunroof, Exterior Mirrors Courtesy Lamps, Exterior Mirrors w/Supplemental Signals, For Details Visit DriveUconnect.com, Four wheel independent suspension, Front Bucket Seats, Front dual zone A/C, Full Speed FWD Collision Warn Plus, Google Android Auto, GPS Antenna Input, GPS Navigation, HD Radio, Heated front seats, Integrated Voice Command w/Bluetooth, Lane Departure Warning Plus, Leather Trim Seats, Leather Trimmed Sport Bucket Seats, Media Hub (2 USB, AUX), ParkSense Front/Rear Park Assist System, Power driver seat, Power Multi Function Mirror Manual Fold, Power passenger seat, Power steering, Power windows, Quick Order Package 22G 300S, Radio: Uconnect 4C Nav w/8.4 Display, Rain Sensitive Windshield Wipers, Rear Seat Armrest w/Storage Cupholder, Remote keyless entry, SafetyTec Plus Group, SiriusXM Satellite Radio, SiriusXM Traffic Plus, SiriusXM Travel Link, Speed-sensing steering, Split folding rear seat, Steering wheel mounted audio controls, Traction control, USB Host Flip, Wheels: 19 x 7.5 Aluminum HyperBlack.Stew Hansen Dodge Ram Chrysler Jeep RAM is honored to offer this great-looking 2018 Chrysler 300. 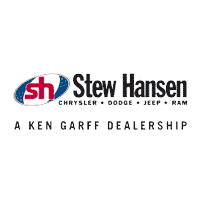 S AWD18/27 City/Highway MPGCertified.FCA US Certified Pre-Owned Details: * Roadside Assistance * Vehicle History * Limited Warranty: 3 Month/3,000 Mile (whichever comes first) after new car warranty expires or from certified purchase date * Warranty Deductible: $100 * Transferable Warranty * 125 Point Inspection * Includes First Day Rental, Car Rental Allowance, and Trip Interruption Benefits * Powertrain Limited Warranty: 84 Month/100,000 Mile (whichever comes first) from original in-service dateCall now to get special offers and VIP treatment from our internet division. Please contact us today at 1-888-993-8282. CERTIFIED, LOW MILES, Remote Start, LEATHER, NAVIGATION, ONE OWNER, CLEAN CARFAX, Up to 7-Year/100,000 Mile Powertrain Limited Warranty, CERTIFIED: 125-Point Inspection, 300S Premium Group 2, 4-Wheel Disc Brakes, 8.4 Touchscreen Display, ABS brakes, Adaptive Bi-Xenon HID Headlamps, Adaptive Cruise Control w/Stop, Advanced Brake Assist, Apple CarPlay, Auto Adjust In Reverse Exterior Mirrors, Auto High Beam Headlamp Control, Auto-Dimming Exterior Driver Mirror, Automatic Headlamp Leveling System, Automatic temperature control, Black Chrome Surround 300S Grille, Blind Spot & Cross Path Detection, Body Color Fascia Applique, Body Color Fascias, Brake assist, Door Sill Scuff Pads, Driver & Passenger Lower LED Lamps, Electronic Stability Control, Exterior Mirrors Courtesy Lamps, Exterior Mirrors w/Supplemental Signals, For Details Visit DriveUconnect.com, Four wheel independent suspension, Front & Rear LED Map Pockets, Front dual zone A/C, Front fog lights, Full Speed FWD Collision Warn Plus, Google Android Auto, GPS Antenna Input, GPS Navigation, HD Radio, Heated front seats, Heated Second Row Seats, Heated Steering Wheel, Integrated Voice Command w/Bluetooth, Lane Departure Warning Plus, Leather Trim Seats, Leather Trimmed Sport Bucket Seats, Lower Grille Close-Out Panels, Media Hub (2 USB, AUX), Panic alarm, ParkSense Front/Rear Park Assist System, Power Backlight Sunshade, Power driver seat, Power passenger seat, Power steering, Power Tilt/Telescope Steering Column, Power windows, Premium SRT Fog Lamps, Pwr Multi Function Mirror Manual Fold, Quick Order Package 22G 300S, Radio/Driver Seat/Mirrors Memory, Radio: Uconnect 4C Nav w/8.4 Display, Rain Sensitive Windshield Wipers, Rear Bodycolor Spoiler, Rear Seat Armrest w/Storage Cupholder, Remote keyless entry, S Model Appearance Package, SafetyTec Plus Group, Security system, SiriusXM Satellite Radio, SiriusXM Traffic Plus, SiriusXM Travel Link, Speed-sensing steering, Split folding rear seat, Steering wheel mounted audio controls, Traction control, Trunk Mat, USB Host Flip, Ventilated Front Seats, Ventilated Leather Trim Sport Seats, Wheels: 19 x 7.5 Aluminum HyperBlack.Stew Hansen Dodge Ram Chrysler Jeep RAM is pleased to offer this fantastic 2018 Chrysler 300. S AWDOdometer is 7295 miles below market average!18/27 City/Highway MPGCertified.FCA US Certified Pre-Owned Details: * Warranty Deductible: $100 * 125 Point Inspection * Roadside Assistance * Limited Warranty: 3 Month/3,000 Mile (whichever comes first) after new car warranty expires or from certified purchase date * Transferable Warranty * Powertrain Limited Warranty: 84 Month/100,000 Mile (whichever comes first) from original in-service date * Includes First Day Rental, Car Rental Allowance, and Trip Interruption Benefits * Vehicle HistoryCall now to get special offers and VIP treatment from our internet division. Please contact us today at 1-888-993-8282. CERTIFIED, LEATHER, NAVIGATION, CLEAN CARFAX, CARFAX ONE OWNER, 3RD ROW SEATS, Up to 7-Year/100,000 Mile Powertrain Limited Warranty, Bluetooth/Hands Free Phone, REAR DVD, 13 Alpine Speakers, 18 x 7.5 Painted Aluminum Wheels, 2nd Row USB Charge Port, 360 Surround View Camera System, 3rd Row USB Charge Port, 506 Watt Amplifier, 7 Full Color TFT Display, 8.4 Touchscreen Display, Acoustic Windshield, Active Noise Control System, Adaptive Cruise Control w/Stop & Go, Advanced Brake Assist, Advanced SafetyTec Group, Apple CarPlay, Automatic High Beam Headlamp Control, Automatic temperature control, Blind Spot & Cross Path Detection, Blind spot sensor: Blind Spot Detection warning, Disassociated Touchscreen Display, For Details, Visit DriveUconnect.com, Front Passenger Auto Advance N Return, Full Speed Forward Collision Warning Plus, Google Android Auto, GPS Antenna Input, GPS Navigation, HD Radio, Integrated Voice Command w/Bluetooth, Lane Departure Warning Plus, Nexen Brand Tires, Parallel & Perp Park Assist w/Stop, ParkSense Front/Rear Park Assist w/Stop, Power 8-Way Passenger Seat, Power Passenger Lumbar Adjust, Premium Audio Group, Quick Order Package 27L, Radio: Uconnect 4C Nav w/8.4 Display, Rain Sensitive Windshield Wipers, SiriusXM Satellite Radio, SiriusXM Traffic Plus, SiriusXM Travel Link, Tire & Wheel Group, USB Host Flip.Stew Hansen Dodge Ram Chrysler Jeep RAM is pumped up to offer this superb 2018 Chrysler Pacifica. Touring L FWDOdometer is 5457 miles below market average!19/28 City/Highway MPGCertified.FCA US Certified Pre-Owned Details: * Warranty Deductible: $100 * Powertrain Limited Warranty: 84 Month/100,000 Mile (whichever comes first) from original in-service date * Vehicle History * 125 Point Inspection * Limited Warranty: 3 Month/3,000 Mile (whichever comes first) after new car warranty expires or from certified purchase date * Roadside Assistance * Includes First Day Rental, Car Rental Allowance, and Trip Interruption Benefits * Transferable WarrantyCall now to get special offers and VIP treatment from our internet division. Please contact us today at 1-888-993-8282. CERTIFIED, LEATHER, NAVIGATION, CLEAN CARFAX, CARFAX ONE OWNER, 3RD ROW SEATS, Up to 7-Year/100,000 Mile Powertrain Limited Warranty, Bluetooth/Hands Free Phone, REAR DVD, 13 Alpine Speakers, 18 x 7.5 Painted Aluminum Wheels, 2nd Row USB Charge Port, 360 Surround View Camera System, 3rd Row USB Charge Port, 506 Watt Amplifier, 7 Full Color TFT Display, 8.4 Touchscreen Display, Acoustic Windshield, Active Noise Control System, Adaptive Cruise Control w/Stop & Go, Advanced Brake Assist, Advanced SafetyTec Group, Apple CarPlay, Automatic High Beam Headlamp Control, Automatic temperature control, Blind Spot & Cross Path Detection, Blind spot sensor: Blind Spot Detection warning, Disassociated Touchscreen Display, For Details, Visit DriveUconnect.com, Front Passenger Auto Advance N Return, Full Speed Forward Collision Warning Plus, Google Android Auto, GPS Antenna Input, GPS Navigation, HD Radio, Integrated Voice Command w/Bluetooth, Lane Departure Warning Plus, Nexen Brand Tires, Parallel & Perp Park Assist w/Stop, ParkSense Front/Rear Park Assist w/Stop, Power 8-Way Passenger Seat, Power driver seat, Power Liftgate, Power Passenger Lumbar Adjust, Premium Audio Group, Quick Order Package 27L, Radio: Uconnect 4C Nav w/8.4 Display, Rain Sensitive Windshield Wipers, SiriusXM Satellite Radio, SiriusXM Traffic Plus, SiriusXM Travel Link, Tire & Wheel Group, USB Host Flip.Stew Hansen Dodge Ram Chrysler Jeep RAM is pumped up to offer this gorgeous-looking 2018 Chrysler Pacifica. Touring L FWDOdometer is 3588 miles below market average!19/28 City/Highway MPGCertified.FCA US Certified Pre-Owned Details: * Powertrain Limited Warranty: 84 Month/100,000 Mile (whichever comes first) from original in-service date * Roadside Assistance * Transferable Warranty * Vehicle History * 125 Point Inspection * Includes First Day Rental, Car Rental Allowance, and Trip Interruption Benefits * Limited Warranty: 3 Month/3,000 Mile (whichever comes first) after new car warranty expires or from certified purchase date * Warranty Deductible: $100Call now to get special offers and VIP treatment from our internet division. Please contact us today at 1-888-993-8282. CERTIFIED, LEATHER, NAVIGATION, CLEAN CARFAX, CARFAX ONE OWNER, 3RD ROW SEATS, Up to 7-Year/100,000 Mile Powertrain Limited Warranty, Bluetooth/Hands Free Phone, REAR DVD, 13 Alpine Speakers, 18 x 7.5 Painted Aluminum Wheels, 2nd Row USB Charge Port, 360 Surround View Camera System, 3rd Row USB Charge Port, 506 Watt Amplifier, 7 Full Color TFT Display, 8.4 Touchscreen Display, Acoustic Windshield, Active Noise Control System, Adaptive Cruise Control w/Stop & Go, Advanced Brake Assist, Advanced SafetyTec Group, Automatic High Beam Headlamp Control, Blind Spot & Cross Path Detection, Disassociated Touchscreen Display, Front Passenger Auto Advance N Return, Full Speed Forward Collision Warning Plus, GPS Navigation, HD Radio, Lane Departure Warning Plus, Nexen Brand Tires, Parallel & Perp Park Assist w/Stop, ParkSense Front/Rear Park Assist w/Stop, Power 8-Way Passenger Seat, Power Passenger Lumbar Adjust, Premium Audio Group, Quick Order Package 27L, Rain Sensitive Windshield Wipers, Tire & Wheel Group.Stew Hansen Dodge Ram Chrysler Jeep RAM is pumped up to offer this superb-looking 2018 Chrysler Pacifica. Touring L FWDOdometer is 4623 miles below market average!19/28 City/Highway MPGCertified.FCA US Certified Pre-Owned Details: * Powertrain Limited Warranty: 84 Month/100,000 Mile (whichever comes first) from original in-service date * Transferable Warranty * Roadside Assistance * 125 Point Inspection * Warranty Deductible: $100 * Vehicle History * Limited Warranty: 3 Month/3,000 Mile (whichever comes first) after new car warranty expires or from certified purchase date * Includes First Day Rental, Car Rental Allowance, and Trip Interruption BenefitsCall now to get special offers and VIP treatment from our internet division. Please contact us today at 1-888-993-8282.